We are very pleased to continue our collaboration with the Institute of Technology Educators (ITE) (formerly IIATE) who have been sponsoring the Technology & Engineering category since 2016. The Years 7-12 ITE Innovations and engineering Design category is open to all Design and Technology, Industrial Technology, Graphics Technology and Engineering Studies students. We are also very pleased that OSHClub – one of Australia’s largest providers of out-of-school care will continue to sponsor the K-6 Technology and Engineering category. The OSHClub Inventions and Innovation Awards are open to any young Years K-6 inventor or tinkerer who has come up with a brilliant idea and has built a model or prototype, showing how their idea works. First place winners in Years 9-10 and Years 11-12 will receive a trophy. Design folio or logbook that documents prior background research and the design process, from brainstorming to final design, through construction to final product, testing and evaluation. The design folio or logbook must also include an acknowledgement of any assistance given. Unlike scientific and mathematical investigations, the design folio or logbook should be a hard copy. There is no golden formula for the structure of a design folio or logbook but it should include all the sections that are listed in the Primary Inventions and Innovations or the Secondary Innovations and Engineering Design pages. 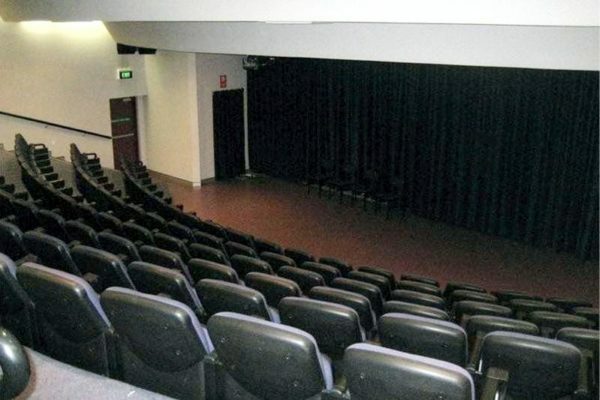 The Presentation Ceremony will commence at 2pm in the PTC office auditorium. 1st, 2nd and 3rd Prize-winners in all age categories will be presented with certificates. Students will receive their cash awards at our major Young Scientist Presentation Ceremony to be held at the McKinnon Building, University of Wollongong main campus on Wednesday 1st November starting at 6pm. Students are to take their projects home with them at the conclusion of the Presentation Ceremony. Since its inception in 2012, winners of our Working Technologically Category awards have gone on to win at both the national and international level. In the first six years of the Engineering category of the national BHP Billiton Foundation Science and Engineering Awards (BHPBFSEA), 27 of the 54 national finalists came from the Working Technologically category of the STANSW Young Scientist Awards. In February 2018, two NSW HSC Design and Technology students took out 1st and 2nd place in the Engineering category of the national 2018 BHP Billiton Foundation Science and Engineering Fair and then went on to represent Australia at the 2018 Intel International Science and Engineering Fair held in Pittsburgh. At ISEF, Oliver Nicholls from Barker College took out the top STEM prize for school students in the world. Oliver was awarded the Gordon E. Moore Award for USD $75,000, in recognition of his autonomous robotic window cleaner being the most outstanding and innovative project at the fair and possessing the greatest potential impact for revolutionising its’ particular field of work. It is also interesting to note that since we commenced the Technology & Engineering category in 2012, thirteen of the twenty-five selected ISEF finalists have designed and built an innovative device or application. CAN YOU REMEMBER THE MYDA AWARDS? For those who have been teaching Technology for more than 15 years, you should clearly remember the Minister’s Young Designer Awards. 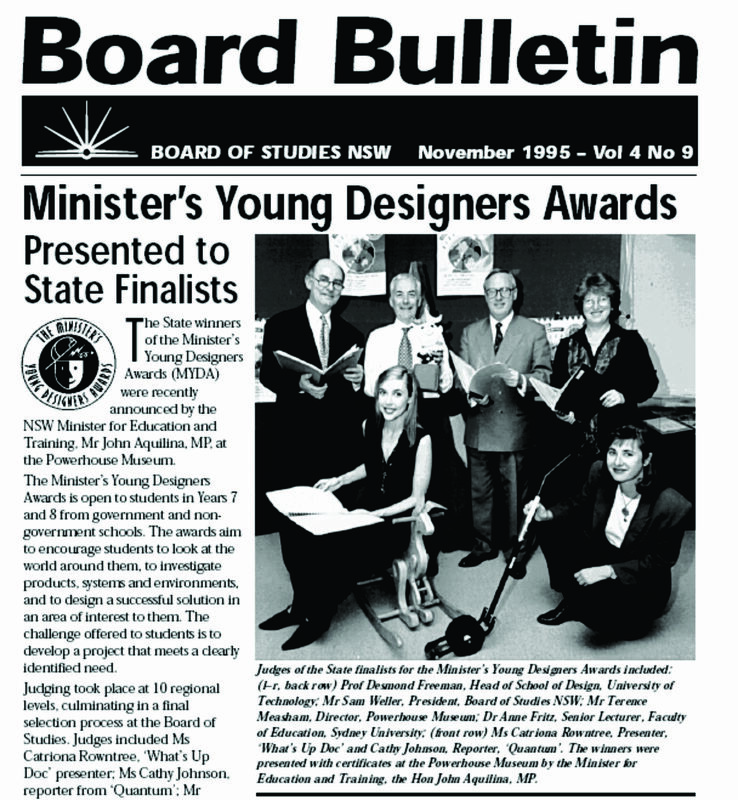 Organised by the then, Board of Studies NSW, the Minister’s Young Designer Awards (MYDA) was open to students in Years 7 and 8 from government and non-government schools. The aims of these awards were to encourage students to look at the world around them, to investigate products, systems and environments, and to design a successful solution in an area of interest to them. 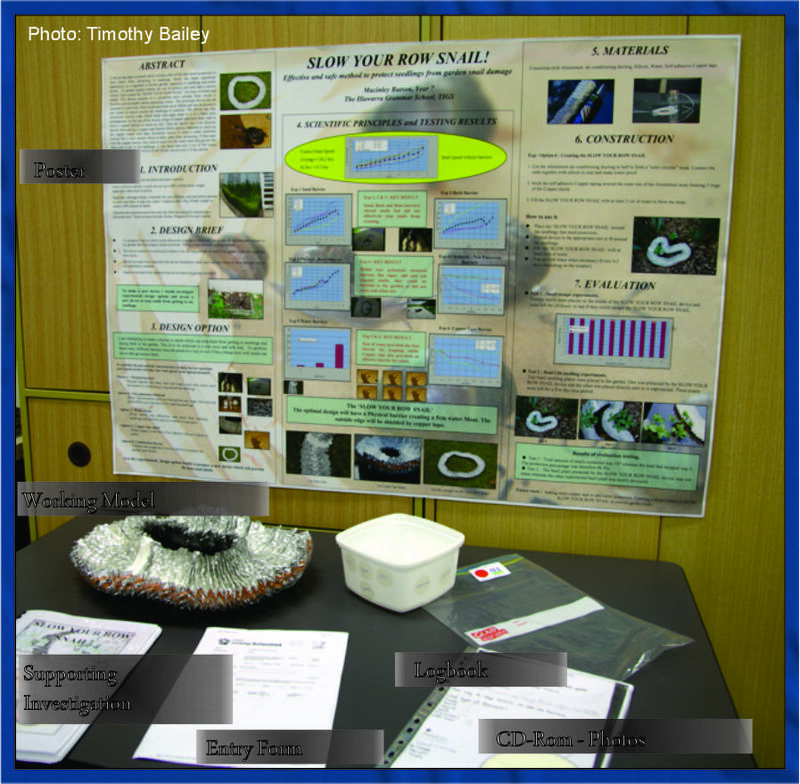 The challenge offered to Year 7 and 8 students was to develop a project that meets a clearly identified need. Well, the IIATE Innovations and Engineering Design Awards and the OSHClub Inventions and Innovations Awards are very similar in their structure and criteria. The Institute of Industrial Arts Technology Education (IIATE) and OSHClub are looking for projects where the students have designed and constructed an innovative device or application that is an original application of technology that solves a need or problem. It can be a new or improved device or process that clearly incorporates a technological idea or concept. ICT-based projects in a technological context are also eligible. The innovative device or application is to be presented as a working scaled or full-scaled prototype of an invention or innovative device or application that you design and build, with an accompanying design folio or logbook documenting background research and the design process, from brainstorming to final design, through construction to final product, testing and evaluation. The significant and welcome difference between these current awards and the old Minister’s Young Designers Awards is that they are open to students in Kindergarten right through to HSC students submitting their major projects in their respective Technology course and hoping to be selected for NESA’s Shape showcase. The other significant difference is that finalists in these awards can go on to represent NSW at the national 2019 BHP Billiton Foundation Science and Engineering Awards and Year 9-12 students can also represent Australia at the Intel International Science and Engineering Fair to be held in Phoenix, May 2019 (see Big Picture).